This month’s interview is with a very significant partner of GleanSLO, Tom Ikeda, a local farmer, who has offered his time, his knowledge and expertise, and has networked for GleanSLO in countless ways. Tom has influenced hundreds of high school students who might not otherwise have an opportunity to work in a field. Students have gained an appreciation for farmers, farm workers, our local food system and the needs of food insecure in our local community. 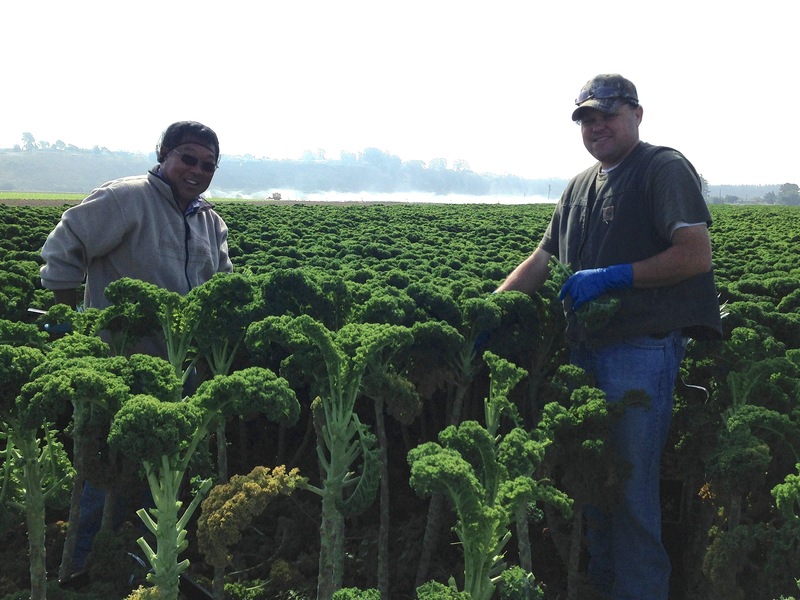 After a food safety presentation, Tom Ikeda with Dan Sutton, Manager of POVE, demonstrate how to harvest kale at a glean in October 2013. Students gleaned nearly 1,000 pounds of kale in less than 2 hours. This entry was posted in GleanSLO Interviews on 06/26/2014 by gleanslo.